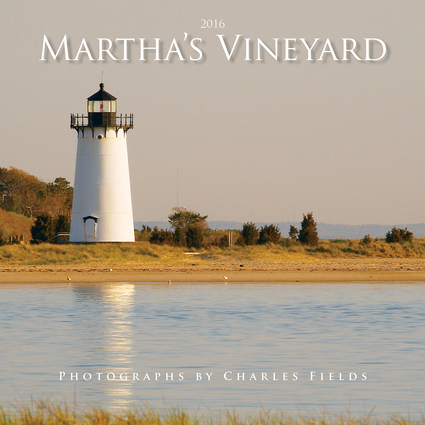 Breathtaking landscape photography that captures the seasons and scenery of Martha's Vineyard is showcased in this 12-month calendar. With a summer population that swells to more than five times the year-round residential average, this popular vacation destination off the southern coast of Cape Cod is cherished by many. The unique essence of Martha's Vineyard is artfully captured in this calendar that also features all major holidays and moon phases. Including ample room to make notes, this calendar provides charming and captivating scenes that will please both islanders and tourists all year long. Charles Fields is a photographer with more than 40 years of experience and a member of the Photography Arts Collective, the Provincetown Art Association, and the American Society of Media Photographers Inc. He is the photographer and author of Cape Cod and the National Seashore, Carnival–Provincetown, Provincetown and the National Seashore, Nantucket, Martha's Vineyard, Vietnam Journeys, Provincetown-Truro-Wellfleet, The Lower Cape and Cuba Journeys. His work has been featured in numerous shows and galleries in New York and throughout New England. He lives in North Truro, Massachusetts.